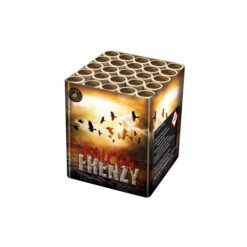 A trilogy of cakes with 19 shots each, offering a selection of 1.3G effects. Blue tails to blue, red & purple breaks with gold blink. Brocade crown with blue & red stars. Silver tails to silver palms with red, blue & gold blink. 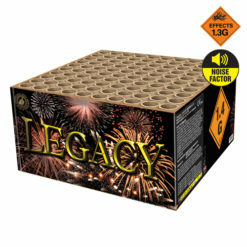 Each lasting approximately 25-30 seconds. 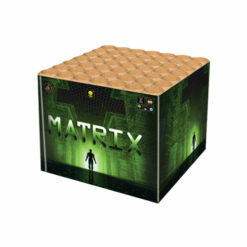 Get a trilogy of 19 shot cakes in the Profi Box 3 Pack. 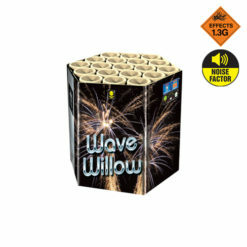 Offering a great selection of 1.3g firework effects. The first cake offering bright blue tails. 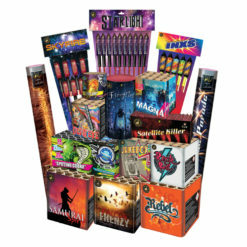 With breaks of blue, red and purple breaks with gold blink. The second cake brings sky filling brocade crown with blue and red stars. Last but not least cake three launches silver tails skyward. To sky full of silver palms with red, blue and gold blink. 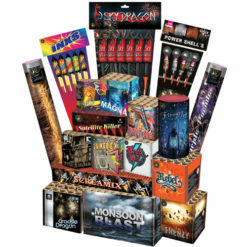 Excellent category 2 firework pack. Each cake lasting around 25-30 seconds. 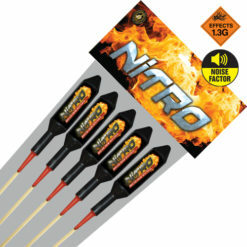 Read the safety instructions and give a minimum safety distance of 15 metres. 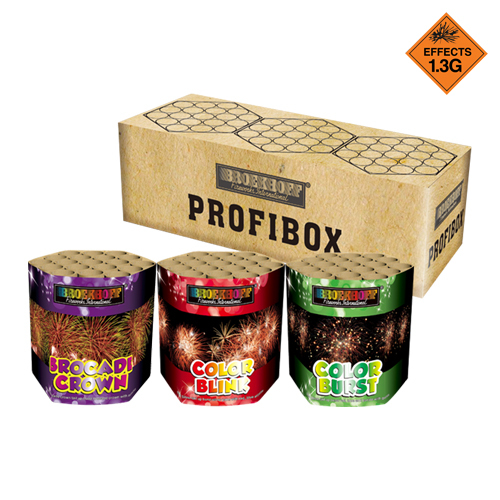 Want another great value pack like the Profi Box 3 Pack? 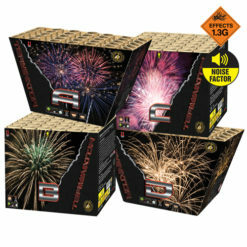 Look no further than the Pyro Event 3 Pack.